The Illinois State University Alumni Association honored seven award recipients at Founders Day celebrations on February 16, as well as during a dinner program. For video of this year’s awards program, visit Alumni.IllinoisState.edu/Awards. A certified public accountant, Dave Magers started his career at GROWMARK and Illinois Farm Bureau. He later worked at COUNTRY Financial in positions of increasing responsibility over 35 years, including serving as chief financial officer. Dave became instrumental on COUNTRY’s leadership team, assessing financial risks and directing all aspects of financial planning. Following his 2013 retirement, he became CEO for Mecum Collector Car Auctions. The job fits his passion for classic and exotic cars. 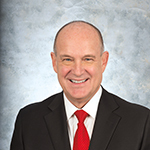 A College of Business (COB) Hall of Fame inductee, Dave has been the keynote speaker during Business Week and chaired the Katie School of Insurance Advisory board. He also serves on the Mennonite College of Nursing (MCN) Advisory Board. Karen (Roop) Magers graduated from MCN and began her nursing career as an eye surgery staff nurse at Gailey Clinic in Bloomington. She has served as director of the Bloomington Eye Institute since 1998. She played a large role in the development of the Watson Gailey Eye Bank, which provides corneal tissue for implants. 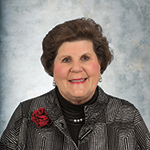 Karen has written eye bank manuals used nationally, served as a role model for nursing students, and reinforced both MCN traditions and the importance of the college’s ISU affiliation. The Magers have received numerous accolades for their public service with organizations that include the Heartland Chapter of American Red Cross, the Children’s Hospital of Illinois and Eversight Illinois. They also support Illinois State, having created a COB and MCN scholarship. They each have a passion for ISU that goes beyond endeavors for the two colleges. They follow Redbird Athletics and serve on many advisory boards and planning committees. Their true Redbird spirit shines in all they do for ISU. Agriculture graduate Ray Brownfield began his career as a farm manager with the First National Bank of Peoria. He became vice president there, as well as at Chicago’s Continental Illinois National Bank and Northern Trust Bank. Brownfield built Capital Agricultural Property Services into the second largest national agricultural property management/real estate brokerage company. He formed Land Pro LLC after retiring in 2003, and remains managing broker and owner. As Conservation Technology Information Center chair, Brownfield worked with the U.S. Department of Agriculture/Natural Resources Conservation Service. He has served as president of the American Society of Farm Managers and Rural Appraisers, and the National REALTORS Land Institute. An ISU Department of Agriculture Honorary Hobart Award recipient, he is in the College of Applied Science and Technology Hall of Fame. He received the D. Howard Doane Award for outstanding contributions to agriculture from the American Society of Farm Managers and Rural Appraisers. Brownfield enlisted in the Army National Guard in 1966, retiring after 35 years as a Chief Warrant Officer 5. It is the highest rank, achieved by only 11 percent of those in the U.S. Army. He is on ISU’s Agricultural Alumni board of directors. With his help, the department raised $100,000 through its Centennial Celebration in 2011. Al and Linda (Althoff) Bowman have served ISU extraordinarily. During Al’s presidency, the University experienced consistent increases in enrollment and academic quality of students, renewed campus vitality, national recognition of many academic programs and increased financial support. Al served as an associate professor and chair in the Department of Communication Sciences and Disorders. 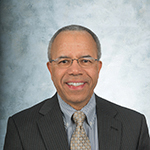 He was interim provost before serving as president from 2003-2013. During his presidency, Al oversaw renovations in Schroeder, Stevenson and Turner halls; a $100-million residence hall renovation; as well as construction of Cardinal Court, Hancock Stadium’s grandstand and the Student Fitness Center. He completed ISU’s first major fundraising campaign, which surpassed an $88 million goal with $96 million raised. 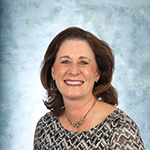 Linda began her career as a speech-language pathologist for Speech and Language Rehabilitation Services in Peoria. She also worked as a speech-language pathologist in the Gibson City-Melvin-Sibley School District. Her ISU career began in 1986 and she retired in 2014. 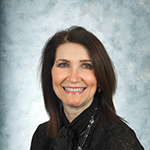 Linda served as clinical supervisor, instructor, academic advisor, graduate coordinator, clinic coordinator and director of the Eckelmann-Taylor Speech and Hearing Clinic. She taught and supervised clinical work. The Bowmans remain involved on campus, attending athletic and academic events. They are proud supporters of ISU, which became a top-100 public university under their leadership. Alumna Rebecca (Wenning) Vieyra studied physics teacher education at ISU as a Bone Scholar. She was selected as the inaugural College of Arts and Sciences Laurine Reiske Award recipient. Vieyra has earned National Board Teacher Certification. She was among 108 teachers nationwide to receive the Presidential Award of Excellence in Mathematics and Science Teaching in 2013. She served as a 2014 Albert Einstein Distinguished Educator in Washington, D.C.
As program manager for the American Association of Physics Teachers, she has managed a NASA-led consortium of 28 STEM-oriented organizations, while also coordinating physical and virtual workshops across the globe. She co-authored a physics teaching textbook and helped develop a physics mobile application, Physics Toolbox Suite, used by more than 500,000 students and educators. She works nationally with staff involved in the Physics Teacher Education Coalition. 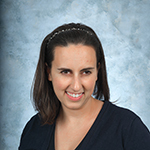 Her lengthy list of accomplishments, professional memberships and awards place her in a leadership role as she works to further her career in physics and teacher education. Lynda Lane worked more than three decades as an English teacher in the Olympia School District. After retiring in 2005, she still pursued her passion as a substitute teacher. Over the course of her career, she took on additional responsibilities. These included serving the Olympia Education Association as president, and working as department chair for English and Foreign Language from 1990-2005. She also became the assistant director of Olympia Theatre and founded the Olympia Madrigal Program. She was one of the first to volunteer as an Ewing Manor docent and has been an engaging ambassador since 2012. Last year alone, she led more than 46 tour groups through the manor and grounds. 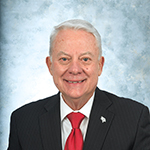 Lane served the University as an active member of the Alumni Association Board of Directors from 1976-2012. During that time she was president, vice president and secretary. She has distinguished herself as an extraordinary leader through volunteer roles that have ranged from chairperson for the Alumni Awards Committee and Homecoming Committee, to commencement speaker, Preview volunteer, Half Century Club member and Senior Professionals mentor.